This past year was a hard one for many Americans—but in many ways we could call it the year of the hero. 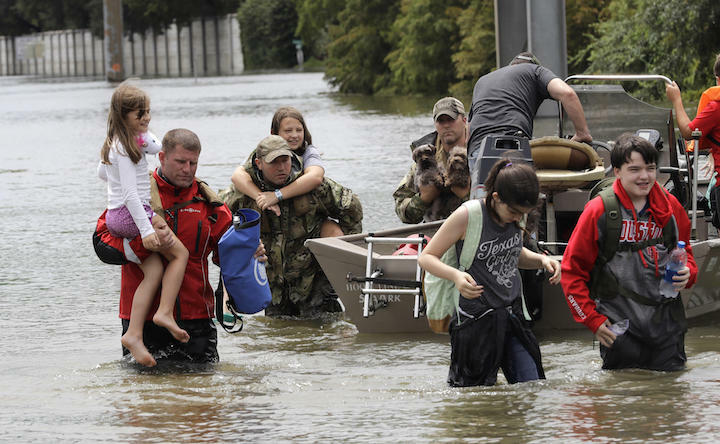 From natural disasters to politically motivated violence, many people stepped forward to make a difference and save lives. There were also events, like the solar eclipse, that reminded us all of our common humanity. 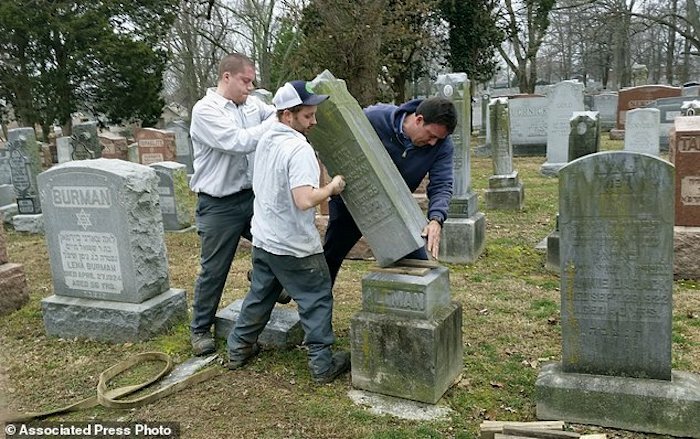 In February, Muslim activists Linda Sarsour and Tarek El-Messidi launched a crowdfunding campaign to help repair a vandalized Jewish cemetery in St. Louis, Missouri. They aimed to raise $20,000—but hit $162,468. “Through this campaign, we hope to send a united message from the Jewish and Muslim communities that there is no place for this type of hate, desecration, and violence in America,” they wrote. Learn what helps turn antagonism into cooperation. Denis Estimon immigrated to the U.S. from Port-au-Prince, Haiti, when he was in the first grade. “There was a language barrier,” he told ABC News, “and my mom was always working and my father was still in Haiti at the time so I wasn’t able to talk to anybody. I felt isolated. 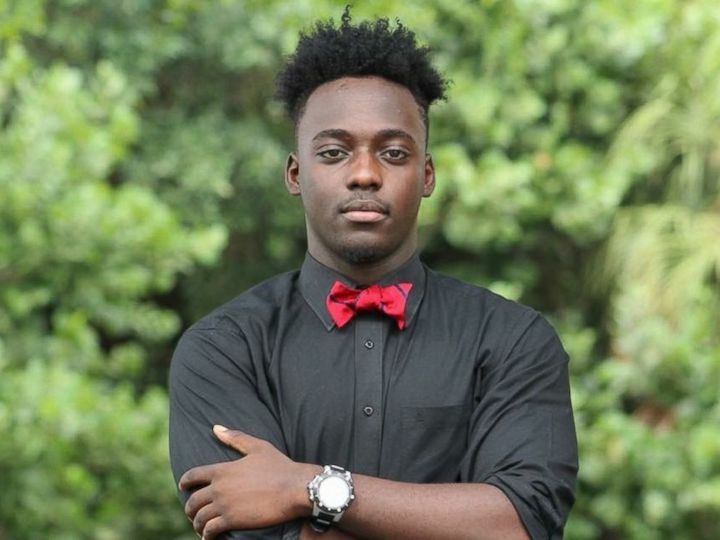 I felt lonely.” Now a senior at Boca Raton Community High School, Estimon launched a student group called “We Dine Together” so that no student has to eat alone at lunch. Learn five ways to help teens develop a sense of purpose. That wasn’t an isolated incident. 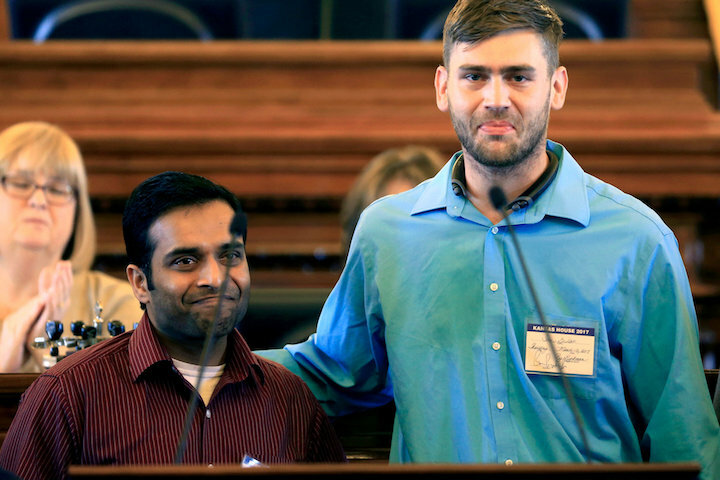 In March, in a bar outside of Kansas City, Ian Grillot ran at a gunman shouting racist epithets who had just killed one Indian immigrant and wounded another. His action saved the life of a third man (both pictured above). In October, a New York City police officer stopped an ISIS-inspired man who killed eight people with a truck. These are just a few examples of how heroism met hate in 2017. Learn eight ways to stand up to hate. When the Golden Gate Warriors reclaimed the NBA championship from the Cleveland Cavaliers in June, many players ran to hug their families. But one family especially stood out: Finals MVP Kevin Durant and his mom. To see what we mean, please watch the video, above. Learn why the Warriors are a Greater Good team. In July, “dozens of beachgoers formed a human chain stretching almost 100 yards into the Gulf of Mexico to rescue a group of swimmers in danger of drowning after they were caught in a powerful riptide,” reports the Guardian. “Six members of the same family, including a grandmother who suffered a heart attack, were among nine people passed along the chain to safety at Florida’s Panama City beach.” Learn what makes a hero. 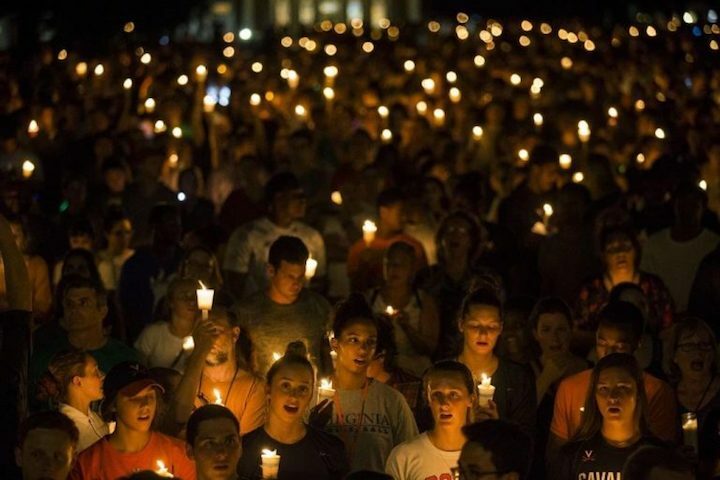 On August 16, thousands marched with candles along the path that white supremacists took the previous Friday in Charlottesville. Racists were on the march in 2017, but they always faced overwhelming opposition. Learn how the science of purpose can help explain the rise of white supermacy. 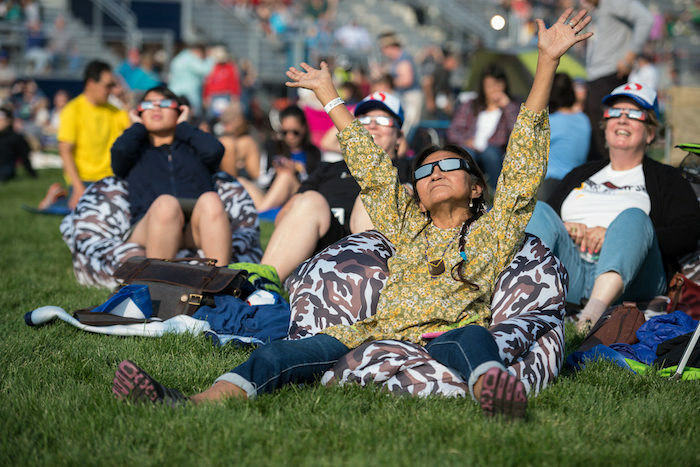 As they did all over North America, people gathered in Madras, Oregon, to watch the total solar eclipse on August 21. In the face of an eclipse, psychologist Kate Russo told Greater Good, “I just have this sense of how we are all one. It doesn’t matter what color, religion, background, culture you come from, regardless of how you make sense of it, we all experience this. We are human beings standing there at that moment at that point in time, all connected with our experience.” Learn more about the psychology of an eclipse. “When I was a boy and I would see scary things in the news, my mother would say to me, ‘Look for the helpers. You will always find people who are helping,’” said Fred Rogers. That was certainly true when tropical storm Harvey hit Texas in late August, and again when Hurricanes Irma and Maria struck Florida and the Caribbean. Learn how empathy can move us to action. In September and October, dozens of NFL players—many of them on the San Francisco 49ers, pictured here—sat or knelt on one knee during renditions of the “Star-Spangled Banner” to protest police killings of unarmed black men. While the protests were extremely controversial, they succeeded in triggering nationwide discussion about the issue. Learn more about the psychology of taking a knee. 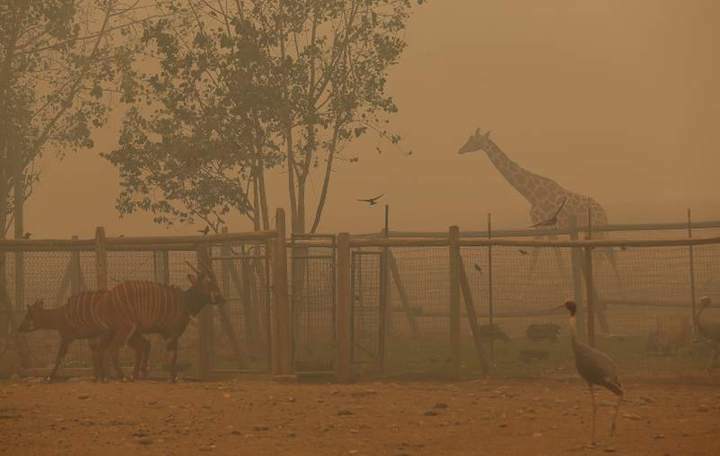 Fire threatens Safari West in October. “Peter Lang had a heart-wrenching choice—save his house in the fire-ravaged hills above Santa Rosa or protect the more than 1,000 animals trapped at his wildlife preserve, Safari West,” reports the Press Democrat. “As the flames approached, Lang ushered his wife, employees and 30 overnight guests off the hill, grabbed a garden hose and began dousing hot spots threatening his collection of primarily African species, including cheetahs, giraffes, and rhinoceroses. When dawn broke, they were all alive but Lang’s home was destroyed.” Learn how empathy for animals can help stop climate change. 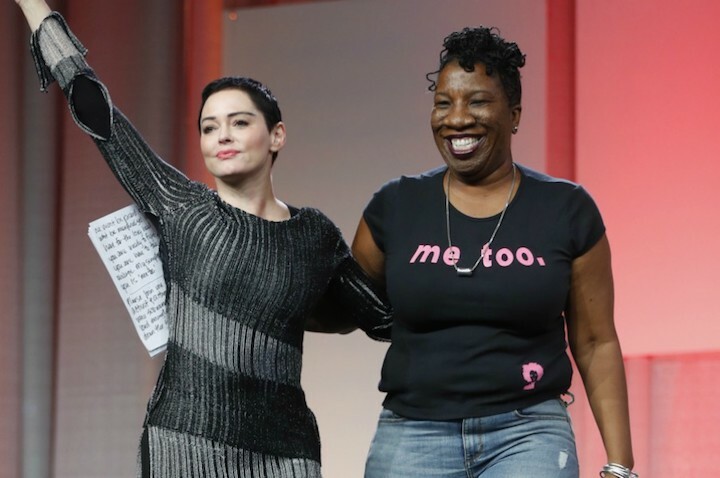 Philadelphia activist Tarana Burke (at right, with actress Rose McGowan), launched the #MeToo campaign ten years ago to draw attention to sexual harassment and violence against women. In 2017, spurred by accusations of sexual assault against high-profile men like Donald Trump and Hollywood producer Harvey Weinstein, the movement surged on social media and ultimately had an enormous impact on American culture and institutions. Learn more about standing up to sexual harassment and how power imbalances fuel harassment. When racist graffiti turned up at the Air Force Academy’s preparatory school in Colorado Springs, superintendent Jay Silveria didn’t hesitate. He brought all 4,000 students and staff together and delivered one of the year’s most powerful and uncompromising speeches against racism. “If you can’t treat someone from another race or a different color skin with dignity and respect then you need to get out,” he said. “That kind of behavior has no place in the United States Air Force.” Learn what leaders must do to battle bigotry. In October, Kate McClure ran out of gas in Philadelphia in a not-great part of town. She didn’t have any cash. 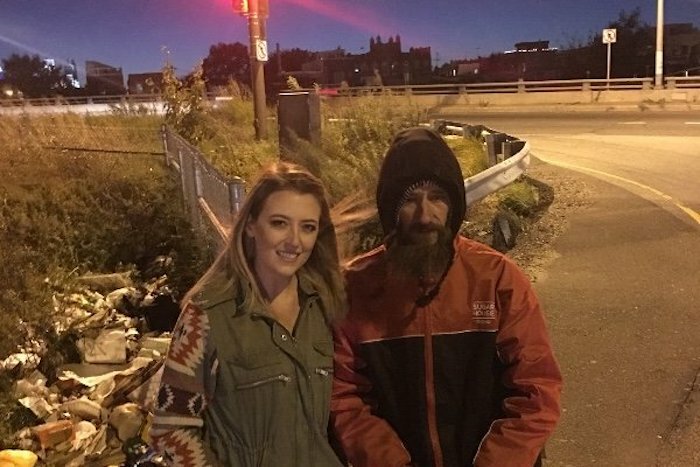 Homeless veteran Johnny Bobbitt, who was standing at the side of the highway with a sign asking for help, used what money he had to fetch her a can of gas. Afterward, McClure launched a crowdfunding campaign for Bobbitt, raising over $400,000. They money enabled Bobbit to buy a home and car—and donate money to “organizations and people who over the last couple of years have helped him get through this rough patch in his life.” Learn ten ways to encourage people to be generous. When Newfoundlanders Sheldon Thornhill and Sean Sullivan heard their flight from Toronto to St. John’s was going to be delayed, they didn’t complain. Instead, they busted out their accordion and guitar. 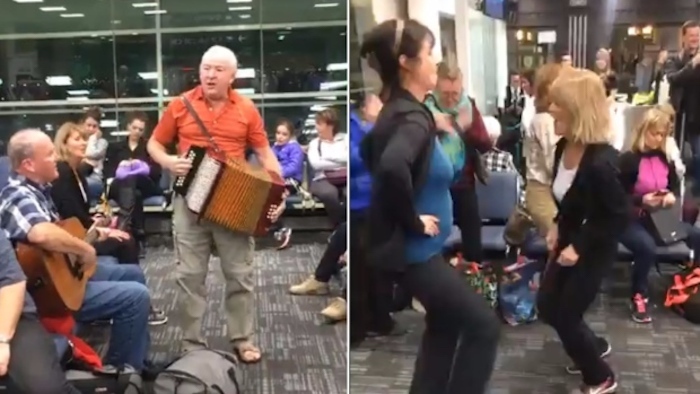 Pretty soon, reports the CBC, people were singing and dancing at the gate—which is a nice reminder that you can always make the best of a bad situation. Learn how music brings people together.